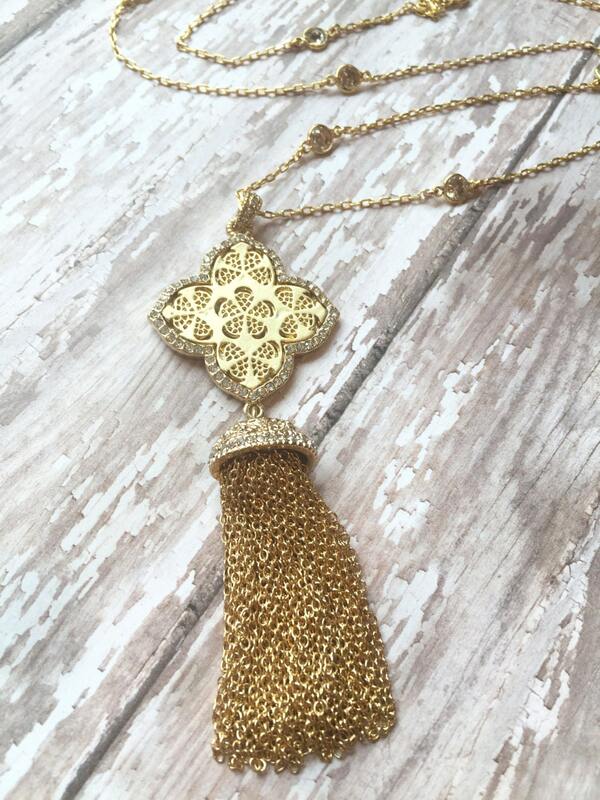 A gorgeous matte gold tassel is surrounded by CZ gemstones on this statement necklace. 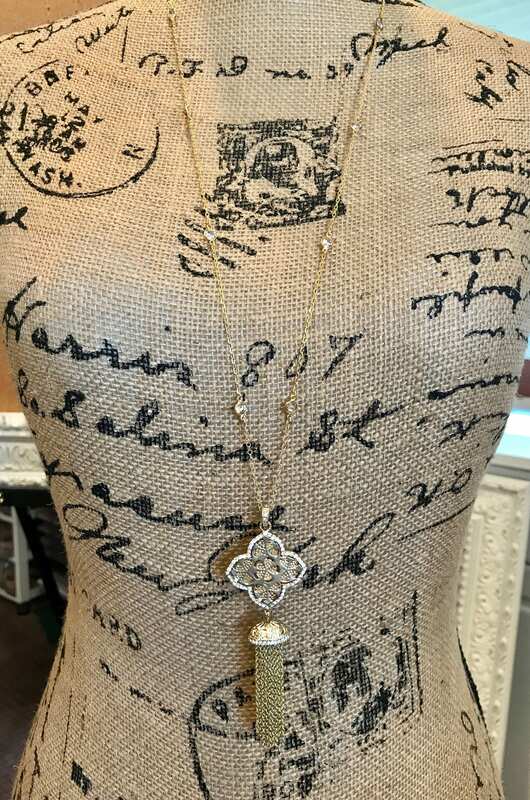 It all hangs beautifully from a gold-filled chain with champagne colored quartz bezeled gemstones. 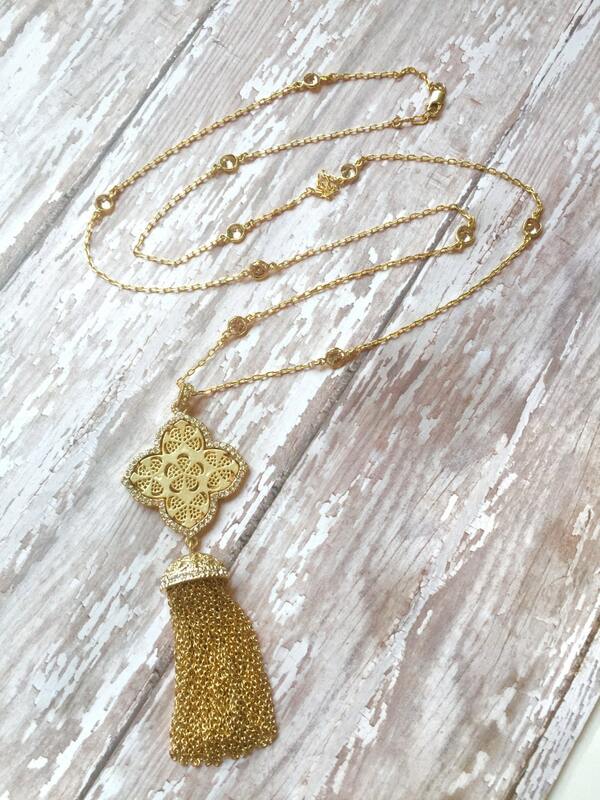 -Tassel is matte gold overlay for an impressively long lasting wear at an exceptional price. 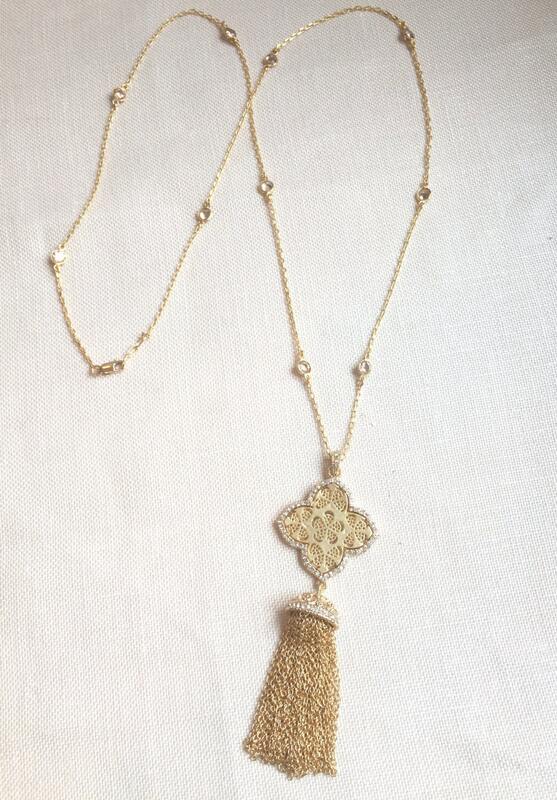 -Gold Filled chain with quartz gemstones spaced every 3"
-Gold Tassel drop is approximately 3.5"
-Total length of chain is 30"
(FYI: Gold Overlay jewelry is produced by applying an average of 20 to 30 mils of 24kt gold onto the surface of the tassel utilizing an advanced acid gold Electro-Depositing process. 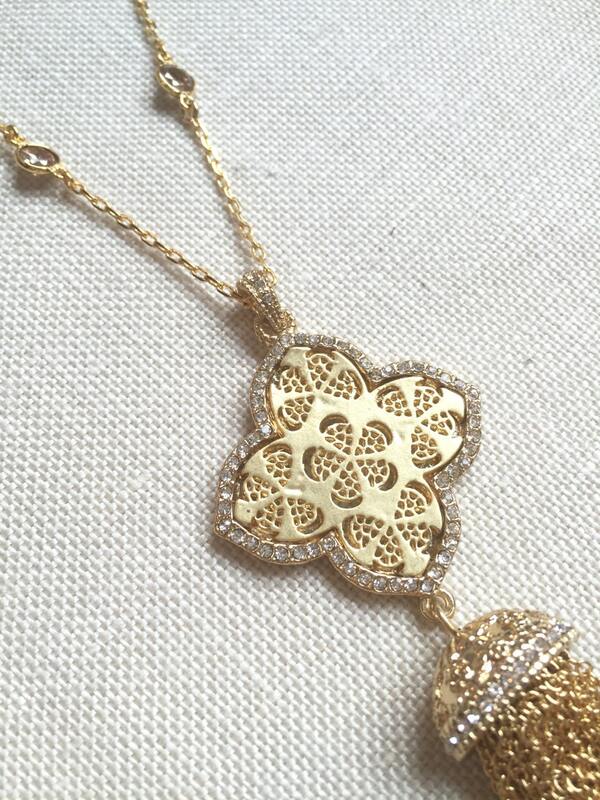 It has on average 5-7 times the thickness of most costume jewelry. Acid gold is a harder gold plating formula that was pioneered by the electronics industry which produces a durable finish.